Today was dark and very windy here, with occasional showers. Some gusts were strong enough to rattle the house. But now the storm has blown through, it’s a quiet and peaceful evening. I can hear birds chirping outside my front windows. Nothing to worry about! 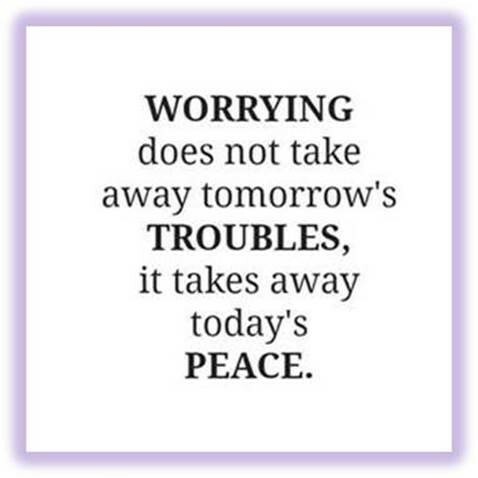 Sending hugs and peaceful thoughts to anyone who may have been worrying today! Just as in the natural world, when there are storms in our minds and in our lives, they always blow over eventually. 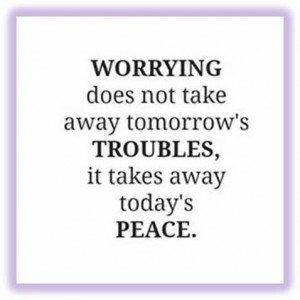 When I stop and think about it … worrying really is a waste of energy, because worrying does not change anything … but why oh why do humans allow it? Thank you for linking with Nurturing Thursday! Hi Becca — maybe it can be useful sometimes for thinking through worst-case scenarios, but much more often it ends up being far removed from anything in reality! With all ups and downs in our lives, peace is an important factor. Thanks for sharing this. Glad you enjoyed it, Rupali! Wonderful post Meg, peace to you too! Hi Laurie — love to you also!